Prince wasn’t the only great guitar player the world lost Thursday. 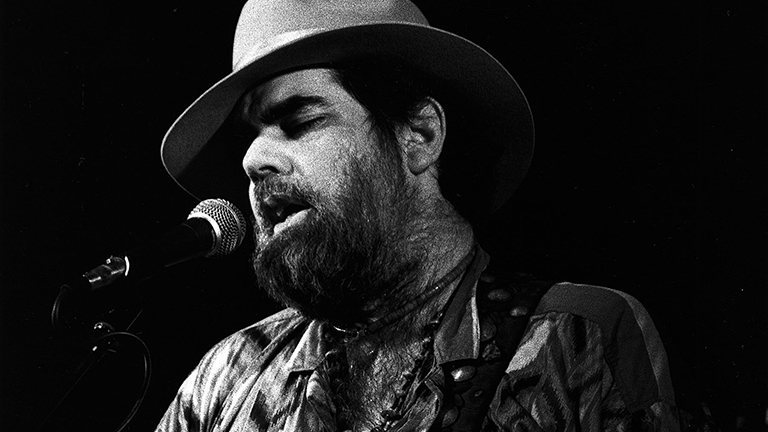 Lonnie Mack died at the age of 74 in Smithville, Tennessee. Born Lonnie McIntosh, he grew up in rural Harrison, Indiana in the southern reaches of the state. His mother taught him how to play guitar, and he drew from a diverse set of influences – country, gospel and rhythm and blues. In 1963, he went from a roadhouse player in the Midwest to a national star almost overnight when his instrumental version of Chuck Berry’s “Memphis” reached No. 5 on the Billboard pop charts and No. 4 on the R&B charts. His fleet-fingered blues rock influenced Eric Clapton, Dickey Betts and Keith Richards. Stevie Ray Vaughan always introduced him as “the baddest guitarist I know.” He even played on The Doors song “Roadhouse Blues,” although there are conflicting stories about whether he played bass or the guitar solo. He recorded three albums for Chicago’s Alligator Records, including 1985’s “Strike Like Lightning,” co-produced by and featuring Stevie Ray Vaughan. When Mack re-emerged on tour in the ‘80s, his shows were attended by the likes of Bob Dylan, Paul Simon and Eddie Van Halen. “He could be a firebrand; his third wife told me that one night, furious that their computer wouldn’t follow his commands, he shot it,” Iglauer said. Mack has been inducted in the International Guitar Hall of Fame and the Rockabilly Hall of Fame but, curiously, not the Rock and Roll Hall of Fame. April 21: The sudden loss of Prince has the world talking. We hear from the Chicago photographer who took iconic pictures of Prince before he was a superstar. Jan. 11: Iconic musician and artist David Bowie died just days after his 69th birthday and the release of his 28th studio album, "Blackstar." Jan. 12: He was the grandfather of glam rock, a groundbreaking musician and performance artist. Joining us to reflect on David Bowie's life and work is Chicago Tribune theater critic Chris Jones. Jan. 12: The music community is mourning the loss of singer Otis Clay, who died after suffering a heart attack last Friday. A longtime resident of the city’s West Side, Clay was increasingly active in community-based economic and cultural initiatives.